THIS pleasant residential and municipal borough is situated at the estuary of the Ribble, extending about eight miles along the coast. It is in the Blackpool parliamentary division and Fylde union. Previous to the first meeting of the Corporation, Lytham and St.Annes were governed by two separate Urban District Councils. The charter of incorporation was granted on March 28th, 1922 (the official reception took place on the 31st), when under its provision, the two townships amalgamated for the administration of local government. The election of the borough took place on November 1st; 1922, and the first town council meeting held eight days later. The council comprises six aldermen and eighteen councillors. The districts of Ansdell and Fairhaven are included in the borough. LYTHAM is described in Doomsday Book as Lidum, but a legal document of the reign of King John referred to the locality as Lethum, an appellation which seems to have adhered to it until comparatively recent years. The derivation of the latter title is apparently from the Anglo-Saxon word lethe, signifying a barn, and points obviously to an agricultural origin. Shortly before the termination of the reign of Richard the First, in the year 1199, Richard Fitz-Roger, who is supposed to have belonged to the Banastre family, gave all his lands in Lethum with the church of the same vill, and all things belonging to the church, to the monks of Durham that they might establish a Benedictine cell there, to the honour of St. Mary’s and St. Cuthbert, as a pure and perpetual offering. For nearly five hundred years this monastic cell existed on the site of the present Lytham Hall. In the year 1555 the cell and domains were granted to Sir Thomas Holcroft, as part of the possessions of the Durham convent, at the dissolution of the monastries, who later sold the manor to Sir Richard Molineux; and according to Col. Fishwick, a deed, dated February 14th, 1606, states that it was bought from the latter knight by Cuthbert Clifton, of Westby, for £4,300. With this deed begins the long association of the Clifton family with Lytham. The Clifton genealogy goes back to 1258, when a Clifton, of Westby, was bailiff for the Earl of Lincoln, from Clitheroe Castle to the Fylde. A knighthood was conferred upon the family by James the First, when Sir Cuthbert Clifton increased the family estate by the purchase of land at Marton. During the civil wars, the Cliftons were staunch loyalists, and Sir Thomas Clifton, the grandson of the original knight, was made a baronet by Charles the Second for the services of his family. As he died without issue, the estates devolved upon a collateral branch of the family at Fairsnape, of which J. Talbot Clifton, Esq., is a direct descendant. Lytham at one time was very popular amongst the fashionable and genteel class for bathing. ST. ANNES-ON-THE-SEA is a locality indicated in the foundation charter of the Lytham Benedictine cell as Kilgrimol. It has been suggested that the peculiar orthography of the word Kilgrimol points to there having been at some era a religious settlement presided over by Culdees, the priests of Columba, but it is more probable that the name is derived from the two British words kilbury and mul or meol. At a later epoch the district was known as Cross or Churchyard Slack, a place where, it is said, the bodies of sailors washed ashore were buried. The whole of the land of St.Anne’s having been leased to a company of gentlemen for a term of 1,100 years; the first stone of the future watering place was laid on the 31st of March, 1875, by J. Talbot Clifton, Esq., the lord of the manor of Lytham, then only a boy of six. On that occasion, the mayor of Southport expressed a hope that the new town would spring up like a mushroom and stand firm as an oak. In less than half-a-century, St. Anne’s became second to Blackpool among towns on the same coast in point of rateable value. By a curious coincidence the anniversaries of the birth of St. Annes, the inquiry into the application for a Charter, and the official reception of the Charter, all fall on the same day of the month-March 31st, whilst the Charter also reforms into one district, an area which was divided by the creation of St. Annes as a separate area in 1878. The residents of St.Annes having business in Manchester, Bolton, Chorley, Burnley, and other manufacturing districts, formed the first CLUB TRAIN in England, which is very liberally supported, the members enjoying all the advantages of a dub whilst travelling. First class accommodation is provided at the hotels and boarding houses in the district, and is extremely patronized by golf players. Golf is quite an institution, there being several flourishing clubs in the district. The Lytham Saint Annes Golf Club possesses a handsome clubhouse, equipped with ladies’ and gentlemen’s clubrooms, billiard room, dining-room and baths. The links attached are supposed to be the finest and longest in the country, and consist of an 18-hole course for gentlemen and a 9-hole course for ladies. A dormy house adjacent to the club provides accommodation for members wishing to -remain at night. Other golf clubs in the district are the Blackpool Old Links, Fairhaven, Green Drive, and Cleveleys. The municipal borough of Lytham St. Annes covers an area of (including 5,891 acres foreshore), 11,697 acres; and the rateable value is, Lytham £94,757, St. Annes £137,866, total £232,623. The population in 1921 was 25,877. LYTHAM ST. ANNES TOWN COUNCIL (1923-1924). CHARLES F. CRITCHLEY, ESQ., Mayor. ALDERMEN.-A. England, E. R. Lightwood, J. Hallam, W, F. Holden and H. N. Whittle. LYTHAM, WEST WARD: T. H. Wood, J. Chadwick and J. Smethurst. LYTHAM, CENTRAL WARD: G. A. Brown, J. E. Myerscough and Miss J. Rossall. LYTHAM. EAST WARD: J. Forshaw, F. Bibby, and A. J. Price. ST. ANNES, NORTH WEST WARD: J. R. Taylor, S. Smith and J. H. Beaver. ST. ANNES, EAST WARD: J. C. Martin, J. Harwood and W. Ingham. ST. ANNES, SOUTH WARD: J. Barnes, W. Hope and T. E. Jesson. Town Clerk, Thomas Bradley ; Assistant Town Clerk, George Johnson ; Borough Treasurer and Superintendent Assistant Overseer, Alfred B. Dawson, A.S.A.A., F.I.M.T.A. ; Assistant, Harold Smith, A.I.M.T. A.; Borough Collector, Ernest Redhead; Borough Engineer and Surveyor, George W. Lawson, M.Inst.M.E., M.Inst.C.E. ; Consulting Surveyor, H. Gregson; Medical Officer of Health and Schools Medical Officer, G. C. Walker, M.D., D.P.H., Chief Sanitary Inspector, Harold Yates - C.R.S.I., M.S.I.A. ; Secretary to Education Authority, Arthur Kay; Gas Manager and Engineer, J. H. Ranft; Gas Works Manager, E. Hargreaves; Electrical Engineer, J. H. Clothier; Tramways. Manager, H. W. Laing; Veterinary Inspector, J. R. Rigby, M.R.C.V.S. Borough Librarian, Miss B. M. Barrow; Lytham Library, Miss May Dobson ; Superintendents Fire Brigade, R. E. Whittaker and G. E. Pennington ; Mayor’s attendant and Town Hall Keeper, E. Taylor. BOROUGH MAGISTRATES.-C. F. Critchley (mayor), E. W. Mellor, E. R. Lightwood, J. A. Nicholson, S. L. Scott, W. F. Holden, Edwin Oldham, Rd. Leigh, Arthur Hargreaves, Mrs. Walton, His Honour Judge Bradley, A. E. Smith, Miss Rossall, Henry Heap, John Pearson, T. H. Wood, James Chadwick, Mrs. Penry, Joshua Moore, J. C. Martin, John Smethurst, J. H. Taylor, Matthew Kirkham and Edwin Cooper. Lytham PARISH CHURCH, situated in Church Road, is dedicated to St. Cuthbert. It was rebuilt in 1778 on the site of the ancient fabric, which existed as early as the 12th century. This is evident from the terms of the grant made in the reign of Richard I. (1188), by Richard Fitz Roger, who gave to the monks of Durham all his lands of Lytham, with the church of that town, that they might form a Benedictine cell there to the honour of the Blessed Virgin and St. Cuthbert, which was accordingly done. The first stone of the present edifice was laid in 1834. It is a plain, substantial building. With square tower, the Tudor style predominating. The windows are of stained glass. There are several marble monuments to members of the Clifton family, with the monogram R.I.P., to each inscription. The church also contains a large number of handsome monuments and objects of interest, among these being the oak choir screens erected in memory of the late Dr. L. Fisher. Lord Justice Holker is interred here, and also most of the crew of the St. Annes Lifeboat who were drowned in the lifeboat disaster when proceeding to the wreck of the “Mexico,” in 1886. In the tower are eight fine-toned bells. There are 1,020 sittings, of which 220 are free. The benefice is a vicarage of the annual value of £639, in the patronage of J. Talbot Clifton, Esq., and held by the Rev. Herbert G. Rosher, M.A. ST. JOHN’S CHURCH, East Beach, Lytham, was erected in 1849 and enlarged in 1857. It is a handsome stone building in the early English style of architecture, and cost £4,000. In 1875, a peal of bells was placed in the steeple and in 1888 two handsome brasses, one recording the erection of the window over the altar and the other recording the enlargement of the organ, all of which are in memory of Baroness Grey de Ruthyn. A handsome lych-gate is in memory of a former vicar, the Rev. T. G. Smart, M.A. The south aisle of the church has been converted into a War Memorial Chapel at a cost of £1,900. There are 700 sittings, of which 266 are free. The benefice is a vicarage of the annual value of £363, in the patronage of J. T. Clifton, Esq., and held by the Rev. John Gilbertson-Pritchard, B.A. ST. PAUL’S CHURCH, Clifton Drive, Fairhaven, erected in 1904 at a cost of £8,215, is in the late perpendicular Gothic style of architecture; and built of brick with stone facings and pillars. The plans provide for additional _nave and side aisle, the building being incomplete. There are 485 sittings. The annual value of the benefice is £356, in the patronage of the trustees of J. T. Clifton, Esq., and held by the Rev. F. Knight, B.A. THE PARISH CHURCH, St. Annes, occupies a site in a triangle at the junction of St. Annes Road East, Church Road and Headroomgate Road. The church is dedicated to St. Anne and was raised through the munificence of Lady Eleanor Cecily Clifton at an expense of £4,229, the designs being supplied by Messrs. Austin & Paley, of Lancaster. A new Baptistry erected at the west end of the church was dedicated by the Bishop of Whalley and unveiled by General Shoubridge, C.M.G., D.S.O., on June 29th, 1920. The cost of erection was £1,709. The church contains 700 sittings, all of which are free. The benefice is a vicarage; value £400, in the patronage of J. T. Clifton, Esq., and is held by the Rev. Herbert Edward Butler. St. Mary’s Mission Church, situated in Orchard Road, St. Annes, is a chapel-of-ease to the parish. The Parish Rooms erected near the church contain men’s clubroom, classrooms, meeting rooms, etc., the foundation stone being laid in 1910. Although it was not until the year 1872 that the foundation stone of the church was laid, a school was established in 1821, and enlarged in 1853. In 1880 new schools were erected at a cost of £2,000, the site being given by the late J. T. Clifton, Esq., and were enlarged in 1894. In 1909, the schools were again enlarged at a cost of £1,650, and have now accommodation for 172 boys, 165 girls and 150 infants. ST. THOMAS’ CHURCH, South Drive, St. Annes, was consecrated by Bishop Moorhouse in 1900, at which date only the chancel and part of the nave was built. 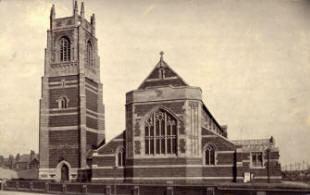 The church was completed in 1905 by the addition of the western part of the nave and the erection of a tower which is detached from the main building. The church was designed by Messrs. Austin & Paley, of Lancaster, which is spacious and is of very fine proportions. The seating accommodation is for 800. The building is of brick with stone facings, and cost £14,000. The church possesses some fine examples of stained glass, also a lady chapel which was added in 1906. The present and first vicar of the parish is the Rev.C. H. Ellison, MA. ST. PETER’S CATHOLIC CHURCH, Clifton Street, Lytham, is a Gothic edifice opened in 1839, and is calculated to accommodate 500 persons. During recent years several important alterations have been effected. In 1875-6, new sacristies and confessionals were constructed. In 1877 three new beautiful altars were erected; the high altar being generously subscribed for by the congregation, in memory of the late Rev. Joseph Walmsley, who was the pastor here for 44 and a half years. The Lady altar was the gift of John Turner, Esq., and St. John’s altar was the gift of the late John Mercer, Esq., of Alston Hall. In 18’78 the church tower, 78 feet in height, was built at the expense of the late John Talbot Clifton, Esq., who contributed £1,000 for its erection. The church has been thoroughly restored, and its arcading of pictures and stations round the interior is very artistic. The whole work was from designs by Messrs. Pugin. During 1893 the old benches gave place to new ones of a very elegant design. On August 26th, 1894, a peal of six bells were erected in the tower, and in October of the same year eight stained-glass windows were erected, being an offering from Mr. John Singleton and his wife, Ellen Singleton, of Lytham. Two more were erected, one in the Lady chapel and the other in St. Joseph’s chapel. The whole of the windows were supplied by Mayer & Co. A handsome lych-gate was erected during 1898 by the Very Rev. James Canon Taylor. It is built of English oak, standing in a base of Accrington brick, surmounted by Aspatria stone, and is from the designs of Messrs. Pugin & Pugin. The church is decorated in the most artistic style. The schools were rebuilt during the year 1902, from designs by Mr. T. C. Grimble, architect, and are now thoroughly equipped in the most approved style. The main school is divided in class-rooms communicating with each other. A new infant school with separate room for babies has also been added. The rectory was renovated during the year 1899, and is now a handsome and commodious building. In 1921-1922 the church was re-roofed, a baptistry the gift of the Hosker family, costing £700, was erected, a solid oak staircase was provided and other improvements made at a total cost of £6,500. In 1923, electric light was installed at a cost of £260. Very Rev. John Canon O’Reilly (rector), Rev. C. Campion, D.D. The Catholic population is 1,100. At Saltcoates is a CATHOLIC CEMETERY, one and a half acres in extent, laid out with much taste, which was opened in 1892. It is enclosed by a substantial brick wall, and in the centre stands a mortuary chapel. The ground was secured by the efforts of Canon James Taylor, from J. T. Clifton, Esq., for a period of 999 years, at a nominal rent of £l per year. OUR LADY STAR OF THE SEA, St. Annes, is a beautiful Catholic church dedicated to the Blessed Virgin. It is a Gothic edifice opened in 1890, and was built as a memorial to the late Duchess of Norfolk. The site was presented by the late J: T. Clifton, Esq., and the foundation stone was laid on October 21st, 1888. The cost of erection was about £6,000, the principal contributor being the Duke of Norfolk. The designs were supplied by Messrs. Pugin & Pugin, of London. Contributions have been received to the amount of £3,000 for the purpose of enlarging the church when convenient. Rev. M. Ryan, parish priest; Rev. J. Stott, curate. The schools, erected in St. Alban’s Road, are built of stone, and will accommodate 130 children. Cost, including site, etc., was £1,500. These were opened September 11th; 1896. The WESLEYAN METHODIST CHURCH, South Drive, St. Annes, is a handsome Gothic structure with a graceful spire, erected at a cost of £4,000. The chancel and west windows are of stained glass, and an organ was erected at a cost of £650. In 1911 the church was enlarged to accommodate 750 worshippers. In 1921 a stained glass window was placed in the chancel in memory of officers and men of the congregation who fell in the Great War. In 1923 the church was re-decorated. Adjoining the church is a Lecture Hall erected to the memory of the late Mr. H. Barber. The original church, at the back of the Lecture Hall, is now used as a Sunday School, and is the place of meeting of the Drive Literary and Social Union, which provides weekly lectures every Friday during the winter. The present minister is the Rev. John Higgitt. Another Wesleyan Methodist Church, situate in Church Road, is of Gothic design with a tower. In 1923 the church was equipped with a new organ. Rev. Elphin A: Ellis, minister. The WESLEYAN CHURCH, Park Street, Lytham, is a commodious building with stone front, erected in 1868. Another church, situate in Albert street, connected with this body, was erected in 1907 at a cost of £3,000. Rev. John E. Mattinson, B.D., supt. minister. At Clifton Drive, Fairhaven, is a church erected in 1909, at a cost of £5,215. It is a stone building in the Gothic style of architecture. Rev. J. H. Bodgenor, minister. In Ansdell is another church built in 1908 at a cost of £5,500, and is of Gothic design. Rev. C.Davis, minister. The CONGREGATIONAL CHURCH, Bannister Street, Lytham; was erected in 1862, and is a neat Gothic stone building with graceful spire. The Congregational Church at Clifton Drive, Fairhaven, is of Byzantine architecture, and was opened in 1912. It is one of the most imposing architectural features on the coast. The stained, glass-‘windows, illustrating “The Struggle for Religious Freedom,” have an attraction for visitors during the season. 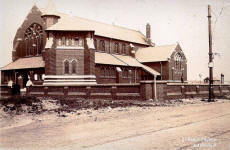 Another handsome Gothic edifice is in St. George’s Road and Clifton Drive North, St. Annes, was opened in 1894. It is built entirely of stone from designs by Messrs: Walker & Collinson, of Leeds, and cost £7,700. The tower is a replica; of the central tower of York Minster. ‘ The chancel is in panelled oak. A new organ was installed in 1899, by Messrs. Binns, at a cost of £735. The church contains several beautiful stained glass windows; and seating accommodation for 650 worshippers. Rev. W. F. Riddell, minister. The UNITARIAN CHURCH, Charming Road, Ansdell, was founded in 1905. The building is a temporary one; but plans and a sum of money have been obtained for a handsome permanent building. A War Memorial Tablet has recently been erected in the church to the memory of members of the congregation who fell in the Great War. Rev. A. Golland, minister. MOUNT OLIVET PENTECOSTAL CENTRE is situated in Preston Road. Mr. Joseph Hawkins, pastor. The Annual Regatta, Fairhaven Lake, Lytham St.Anne's, in the 1920s. TOWN HALL, South Drive, erected at a cost of £5,000, consists of Council chamber, etc., and offices for the use of the Town Clerk, Borough Surveyor, Borough Treasurer, Electrical Engineer and other officials. GASWORKS, situated at Westcliffe, Lytham, and St. David’s Road, St. Annes, were erected in 1847 and 1875 respectively. The plant consists of five gas holders capable of containing a total of 710,000 cubic feet. There are 52 miles of gas mains supplying 5,406 consumers, and 768 public lamps. The price of gas to consumers is 9d. to 10d. pretherm. J. H. Ranft, manager and engineer. ELECTRICITY WORKS, situated in St. David’s Road, St. Annes, erected in 1900 at a cost of £18,161. Since that time additions and alterations have been made to supply the increased demand.. The plant is of the steam reciprocating type, with a capacity of 1,850 K.W., supplying a pressure of 240-280 D.C., 240-420 A.C., 50 period, and 6,600volt, 3 phase, 50 period E.H.T. There are 40 miles of mains supplying electricity to 4,734 consumers, and 684 public lamps. Jas. H. Clothier, borough electrical engineer. TRAMWAYS, originally the property of the Blackpool St. Annes and Lytham Tramways Company, was first opened for traffic in July, 1896, with rather a novel system of power: Compressed gas. being used. This form of propulsion proved a failure, and on June 4th, 1903, cars were run by electricity. In 1920 the whole of the. tramway property was acquired by the then St, Annes Urban District Council for the sum of £140,000. The present rolling stock consists of 40 open top double deck cars and 10 covered top double deck cars. There; is a working agreement with the Blackpool Corporation for cars to run from Lytham direct to Talbot Square, Blackpool. In -addition to the Municipal trams are six single deck one man operated motor buses of the “ Guy “ type. H. W. Laing, general manager. The REFUSE DESTRUCTOR & SEWAGE WORKS, off Preston Road, Lytham, was erected in 1902 at a cost of £2,980. The buildings comprise a pumping station, refuse destructor, storage tanks, disinfector and Manager’s cottage. The pump can lift 4,500,000 gallons daily, the steam required being generated principally by the burning of refuse at the Destructor. The works at Kilnhouse Lane, St. Annes, was erected in 1902 at a cost of £2,946. Extensive renovations have recently been carried out at an approximate cost of £2,500. The buildings now comprise a Meldrums Destructor, tin baler, and mortar mill. Two cottages were erected in 1902, at a cost of £678; for the Destructor chargemen. CEMETERY-The site for the proposed cemetery is situate off Clifton Drive North, near Gillett’s Crossing. It was purchased at a cost of £4,000 and contains 10 acres. The FIRE STATION, St. Annes, is situate in St. Andrew’s Road North. The Brigade, a retained one, consists of thirteen officers and men. The equipment of the station consists of a Ford motor (with Cotton Hall Pump) and 30ft. fire escape ; 260 gallons steam fire engine. 40 gallons combined chemical engine and 40ft. Fire escape. The Famewell Fire Alarm system is installed, and seven fire alarm boxes are erected in different parts of the district. The Fire Station at Lytham, is situate in Chapel Street, and has a retained Brigade. It consists of twelve officers and men. The equipment comprises steam fire engine and Ford tender, fitted with chemical pump and Cotton Hall Pump. FREE PUBLIC LIBRARIES.-THE CARNEGIE LIBRARY, St. Annes, is situate in Clifton Drive South (adjoining the Technical School). It was erected in 1905 at a cost of £3,700 (the gift of Dr.
Andrew Carnegie). The building contains a lending library, reference library and reading room. The number of volumes in the Library are as follows :-Lending Department, 10,219;Reference ‘Department, 1,359 ; a total of 11,578. The annual issues 64,560. The Library at Lytham, situate in Clifton Street, was opened in 1878 and maintained by Public subscriptions; it was taken over by the late Lytham Urban District Council in 1917. It contains a lending library, reading room, lecture rooms, and two billiard rooms (five tables). The number of volumes contained in the Library is 6,617, and the annual issues total 42,829. A Branch Reading Room, at St. Annes, is situate in Church Road. Miss B. M. Barrow, borough librarian. The TECHNICAL SCHOOL is situate in Clifton Drive South, St. Annes (opposite St. Thomas’ Church). It was erected in 1907 at a cost of £9,400. In addition to the usual Commercial, Technical, etc., classes, a School of Art and Handicraft Centre are established. R. H. Irving, head master. ELEMENTARY EDUCATION. Lytham St. Annes became an autonomous area for Elementary Education on the granting of a Charter of Incorporation, in November, 1922. There are eight Elementary Schools within the district, two provided and six non-provided, with a staff of 57 teachers. Arthur Kay, secretary. LOWTHER GARDENS„ Lytham, presented to the Council in 1905 by John Talbot Clifton, Esq., of Lytham Hall. The grounds are 12 acres in extent, and are laid out with walks, shrubberies, flower beds, grottos and sheltered seats. There are also well-kept and extensive tennis courts and bowling green. Music is rendered during the season in the Lowther Pavilion by a ladies’ orchestra. MARINE LAKE AND GARDENS, Fairhaven, is skirted by a semi-circular promenade which over the open sea, and provides excellent and safe boating facilities. Upon the site also are expansive and well-kept tennis courts and croquet lawns, a large open-air swimming bath and a popular refreshment house. ASHTON GARDENS, St. Annes, formerly St. George’s Gardens, the gift of Lord Ashton, contain 14.5 acres of land and cost nearly £26,000. The gardens are used as a public park and contain bowling greens and tennis courts. Over 500 tons of rock is arranged to form a rock and water garden, which gives the effect of the natural strata, introducing plants and shrubs. A lake which is 200 feet long has a graceful waterfall and cascade. In the floral hall music is rendered during the summer months by a ladies’ orchestra. In the winter season the hall is used for concerts, whist drives, dances, etc. The LYTHAM INSTITUTE, Clifton Street, was opened in September, 1878, the cost of its erection being about £3,000, raised by voluntary subscriptions. It is a neat Gothic building, and contains billiard, reading and lecture rooms, and a library of 3,500 volumes. Technical and Art Classes are also successfully conducted. An addition to the Institute, in commemoration of Queen Victoria’s Diamond jubilee, a new wing-was opened by His Grace the Duke of Norfolk on September 13th, 1898, the foundation stone being laid by Sir Matthew White Ridley on the 8th of January, 1898. The site, valued at £250, and on which several cottages formerly stood, was presented by J. T. Clifton, Esq. The addition includes a fine reading room, gymnasium, and additional class-rooms, the cost being £1,500. The architect was Mr. T. C. Grimble, and the contractor Mr. George Myers. The reading room is well supplied with all the current papers, and periodicals, and the Institute is open also to visitors at a small weekly subscription. 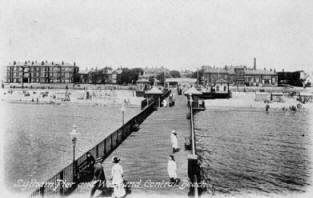 OPEN-AIR SWIMMING BATH, St. Annes, is a fine open-air filtered sea water bath, opened in 1916, from a design by Fred Harrison, of Accrington. The bath is 80 yards long by 40 yards wide, and for a width of 12 yards is 7 feet deep throughout its entire length. A width of 17 yards varies in depth from 7 feet to 2 feet 6 inches, and the remaining width of 11 yards slopes from 2 feet 6 inches down to nothing, and is roped off for the use of children. The PIER, erected by the St. Annes-on-the-Sea. Land and Building Company, Ltd., was opened in 1885 by Lord Derby. It has a light and graceful appearance, furnished with recesses and seats, and at the outer end there is a covered shelter and a bandstand. From the pier head there is a three-storeyed iron extension - which enables passengers to embark and disembark at all stages of the tide. The cost of erection was £20,000. In 1904 the pier was enlarged and a handsome Moorish pavilion erected at a cost of £30,000. It is acknowledged to be one of the prettiest piers around the coast. During the summer a ladies’ orchestra plays twice daily in the floral hall. The pavilion has seating accommodation for 1,000 persons, where performances are held by some of the best touring concert parties in the country. St. Annes-on-the-Sea Land and Building Company, Ltd.; are the proprietors, and Robert Cartmell, manager. Length of the pier is 315 yards. The PIER, Lytham, is a fine structure running over 900 feet seawards, containing pavilion for holding concerts, dramatic and music performances. At the end of the pier is a spacious floral hall, where a musical festival is held every summer. LYTHAM HALL, the seat of the Clifton family, is a stately mansion, about half-a-mile north-west of Lytham. It was erected by Thomas Clifton in 1764, replacing a more ancient hall built by Sir Cuthbert Clifton, who became owner of the estate in 1606.
open for visitors every day from 2 to 5 p.m. Miss A. M. Thomas; secretary. BLACKBURN AND DISTRICT CONVALESCENT HOME FOR ADULTS was established in 1915. The present accommodation being insufficient, it is hoped shortly to enlarge the Home to receive about 50 persons. Miss M. Halliwell, matron. MANCHESTER CHILDREN’S HOSPITAL AND CONVALESCENT HOME, established in 1896, is supported by voluntary contributions. Miss E. Stower, matron. THURSBY CONVALESCENT HOME FOR CHILDREN, established in 1905 by Sir John O. S. Thursby, Bart. Miss J. Turner, matron. ABATTOIRS, St. David’s Road North, St. Annes. ABRAHAM ORMEROD CONVALESCENT HOME, St. Annes. ASHTON INSTITUTE, St. George Road. J. E. Rigby, hon. sec. ASHTON GARDENS, St. George Road, St. Annes-on-Sea. BOROUGH COLLECTOR, Town Hall, St. Annes. E. Redhead. BLACKBURN AND DISTRICT CONVALESCENT HOME -(Adults), Clifton Drive, St. Annes. BOROUGH TREASURER AND SUPERINTENDENT ASSISTANT OVERSEER, St.Annes. Alfred B. Dawson, A.S.A.A., F.I.M.TA. BOROUGH ENGINEER AND SURVEYOR, Town Hall, St. Annes. F. W.. Lawson. 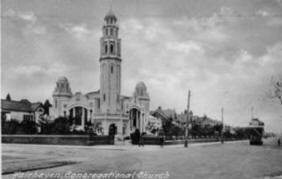 CARNEGIE LIBRARY, Clifton Drive, St. Annes. Miss B. Barrow, librarian. CATHOLIC PROTECTION AND REFUGE SOCIETY, St. Elizabeth’s Home,’ 37 East Beach, Lytham. CONVALESCENT HOME FOR CHILDREN (Abraham Ormerod),, Clifton Drive, St. Annes. ‘ CONVALESCENT HOME FOR CHILDREN (John Reynolds), Lytham. F. Thompson, sec. CONVALESCENT HOME FOR CHILDREN (Manchester), Clifton Drive, St. Annes. Miss E. Stower, matron. CONVALESCENT HOME FOR CHILDREN (Rochdale), 145 St. Andrew’s Road South, St. Annes. CONVALESCENT HOME FOR CHILDREN (Thursby), Clifton Drive, St, Annes. CONVALESCENT MANCHESTER SUNDAY SCHOOL UNION, Clifton Drive,’ St. Annes. Miss H. Hughes. CONGREGATIONALIST HOME OF REST, 6 Pollux Gate, Fairhaven. Miss Perks. CORPORATION ELECTRICITY WORKS, St. Annes. J. H. Clothier, engnr. CORPORATION GAS WORKS, Lytham and St. Annes. John H. Ranft, engineer and manager. CORPORATION TRAMWAYS, Squires Gate, Blackpool. H. W. Laing, manager. ELECTRICITY WORKS, St. David’s Road South, St. Annes. J. H. Clothier; manager. EMPIRE THEATRE, St. George’s Road. W. H. Spring, manager. FIRE STATIONS, St. Andrew’s Road North, St. Annes and Chapel Street, Lytham. FREE PUBLIC LIBRARIES (Carnegie), Clifton Drive, St. Annes. Miss B. M. Barrow, librarian. Clifton Street, Lytham. Miss M. Dobson, librarian. 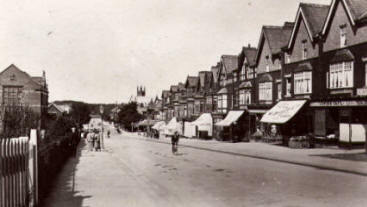 FYLDE WATER BOARD, Oxford Avenue, St. Annes, and 27 Westby Street, Lytham. HOME OF REST FOR CONGREGATIONALISTS, 6 Pollux Gate, Fairhaven. Miss Perks. LIFEBOAT HOUSES, East Beach, Lytham, and East Bank Road, St. Annes. LOWTHER GARDENS, Church Road. Lytham. LYTHAM BATHS AND ASSEMBLY Rooms, Central Beach, Lytham. LYTHAM GAS WORKS AND OFFICE, West Cliffe. LYTHAM ESTATE OFFICE, Hastings Place, Lytham. T. Fair & Son, agents. LYTHAM PICTURE HOUSE, Henry Street. E. F. Glass, manager. LYTHAM PIER AND AMUSEMENTS, PAVILION AND FLORAL HALL. F. E. Holmes, manager. LYTHAM WAR MEMORIAL, Market Place. MANCHESTER CHILDREN’S HOSPITAL CONVALESCENT HOME, Clifton Drive, St. Annes. MARINE GARDENS AND BAND STAND, St. Annes. MARINE LAKE AND GARDENS, Fairhaven. MAYOR’S ATTENDANT AND TOWN HALL KEEPER, St. Annes. E. Taylor. OLD COUNCIL OFFICES, Dicconson Terrace, Lytham. MEDICAL OFFICER OF HEALTH. G. C. Walker, M.D., D.P.H. . OPEN-AIR SWIMMING BATHS, St. Annes. PALACE CINEMA, Garden Street, St. Annes. T. Harrop, manager. PICTURE THEATRE (Empire), St. George’s Road, St. Annes. POLICE STATIONS, St. Andrew’s Road, St. Annes; Denmark Road, Ansdell, and Bannister Street, Lytham. PUBLIC HALL AND THEATRE, Garden Street, St. Annes. 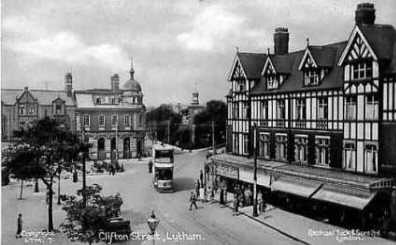 PUBLIC LIBRARIES, Clifton Street; Lytham, and Clifton Drive, St. Annes. PIERS, Lytham; F. E. Holmes, manager. St. Annes; R. Cartmell, secretary and manager. REGISTRAR OF -BIRTHS, DEATHS AND MARRIAGES.Robert Wareing, 10 Market Square. ST. ANNES PIER. R. Cartmell, secretary and manager. SCHOOLS MEDICAL OFFICER. G. C. Walker, M.D., D.P.H. SISTERS OF CHARITY, 25 East Beach, Lytham. SOCIETY OF ST. VINCENT DE PAUL, Sisters of Charity, 25 East Beach, Lytham. TELEPHONE EXCHANGE, 7 Queen Street, Lytham. TOWN CLERK, Town Hall, St. Annes. T. Bradley. TOWN HALL, South Drive, St. Annes. Town’s DEPOTS, Westcliffe, Lytham, and St. David’s Road North, St. Annes. WAR MEMORIAL, Market Square, Lytham. WAR MEMORIAL, Hospital, St. Annes Road East, St.Annes. ASHTON INSTITUTE, St. George’s Road, St. Annes. J. E. Rigby, sec. CONSERVATIVE CLUB, 26 Hastings Place, Lytham. H. Hoyle, sec..
FAIRHAVEN GOLF CLUB, Lytham Park. J. R. Jones, secretary. LIBERAL CLUB, 46 St. Andrew’s Road. South, St. Annes. J. Stott, sec. LYTHAM ST. ANNES GOLF CLUB. T. Pym Williamson,Sec. LYTHAM CRICKET CLUB, Church road. H.P.Shanks and S. Catterall, hon. secretaries. LYTHAM GREEN DRIVE GOLF CLUB, Ballam Road. W.. Pickstone, sec. LYTHAM CONSERVATIVE CLUB, 26 Hastings Place. H. Hoyle, sec. ST. ANNES EX-SERVICEMEN’S CLUB, Alexandra Road West. J. Batty,. secretary. ST. ANNES OLD LINKS GOLF CLUB, St. David’s Road North. S. B.Lowe, secretary. ST. ANNES YACHT CLUB, Central. Beach, Lytham. H. P. Shanks, sec. ST. ANNES PARISH CHURCH LADS’ CLUB, St. Alban’s road. Y.M.C.A. (Lads’ Club) ; N. Y. L. Brindley, secretary. Post Office: Clifton St., Lytham. A. SALLOWS, Postmaster. SUB-OFFICES.-Ansdell, Cambridge Road, Church Road, Pollux Gate and Warton Street. PILLAR AND WALL BOXES.-Town Ansdell, Cambridge Road, Church Road, Pollux Gate, Ansdell Road North, Clifton Drive, Derby Road, Fairlawn Road, Myra Road, -West Beach, Woodlands Road; Warton Street, Grosvenor Street, Park Road, Railway Station, St. Peter’s Place, Victoria Street, Westby Street, Mythop Road, Nelson Street. Rural Moss Side Station, Saltcoats and Ballam.